Howard Technology Solutions along with brands Chief, Samsung, and Mashme teamed up with Colorado State University to create cutting edge technology in instructing online students. Howard Education with the help from these brands completed this install now being referred to as Room of the Future or Mosaic. Mashme has revolutionary technology in the field of distance learning. Their software is easy to use and does not require downloading any applications. This software is as close as it gets to have a presence in the classroom without physically being in the classroom. Construction of Mosaic began in January 2019. CSU officially announced the launch of Mosaic on March 28, 2019. Mosaic consists of 27 screens covering the class room’s entire back wall. 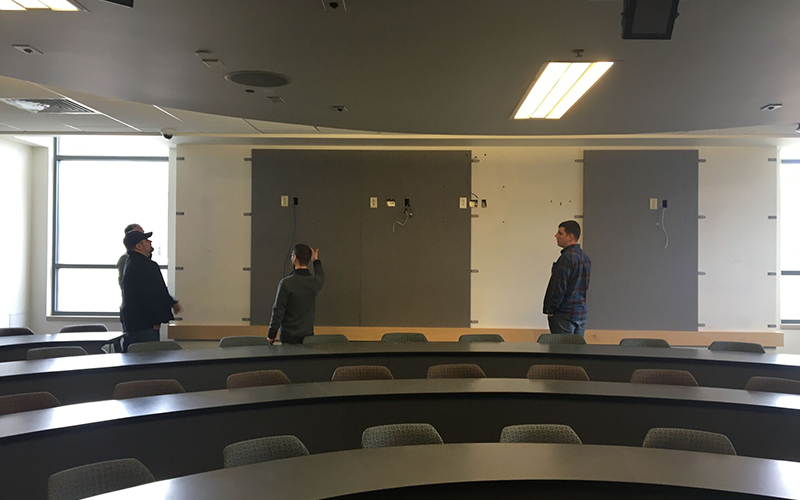 This new technology will allow up to 88 distance students actively participate in class lectures. This is the first Mashme constructed wall in the United States. CSU joins the likes of Oxford University, IE Madrid, and the Santander Group as the first implementers of this system. 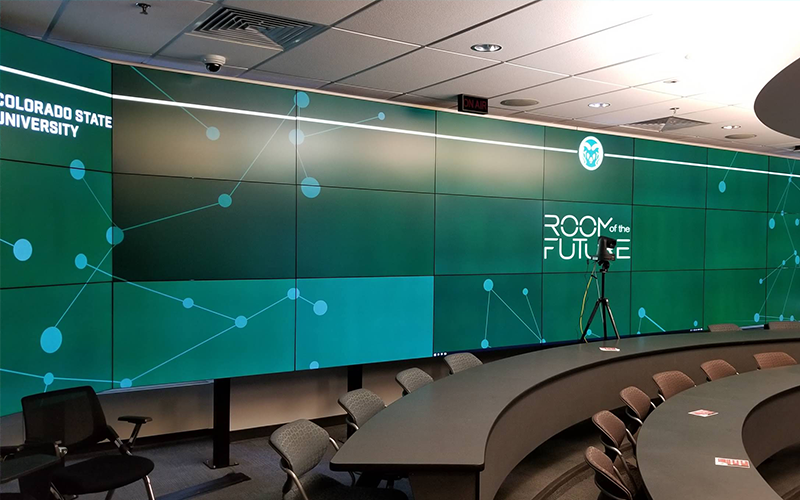 As schools struggle to find the best way to instruct and retain online students, the Room of the Future solution provides a whole new level of real-time engagement. With Mashme’s low latency system, online students from all over the world can learn from CSU instructors real time, and with on-campus students. CSU is the first implementation globally where online and on-premise students can learn together, in the same environment. Howard Education is excited to be a part of this new technology and is looking forward to installing more Mosaic’s in schools across the country. For more information about the Mosaic please call 720-597-0317.